Bicycles are extremely handy when it comes to getting from one place to the next. Unfortunately, they are less popular in some areas in the United States compared to how they are in the Netherlands, for instance, where everyone seems to use them, and there are even bike parks in every major city. If you’d like to turn your commuting experience into something to look forward to, perhaps you need a nice-looking and fully functional bicycle. Check out the models that we have selected for your consideration. You might find something you like. 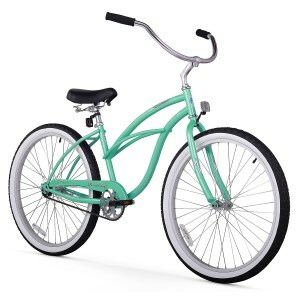 This cruiser bicycle is a classic for women who want to get their hands on a quality 26-inch bike that enables them to ride both easily and comfortably. The aluminum wheels, along with the durable steel frame should give you a pointer as to whether this bike can last for a good deal of time. Besides, the seat is oversized and boasts dual springs, which means that you won’t end up feeling uncomfortable if you decide to ride the bike for several hours on a Sunday. This choice is the perfect alternative for women whose height is between 5 and 6 feet. It sure is fun to bike your way around the city. But sometimes, if you have to do it very often or for long distances, it can get a bit tedious and tiresome. 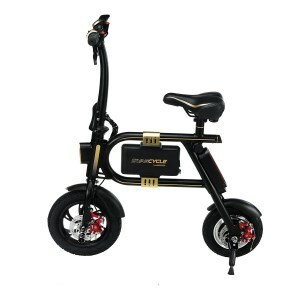 For situations like these, we recommend the SwagCycle as it is an electric bicycle with a 10-mile range. Moreover, the collapsible design of this product will enable you to take it with you inside any building instead of leaving it out for someone to steal. The 250-watt motor of this bike charges in approximately two hours and a half. In short, it’s an eco-friendly and neat-looking portable bicycle. If you want something like a hybrid between a classic bicycle and a motorbike, the Dolomite might be the right unit for you. 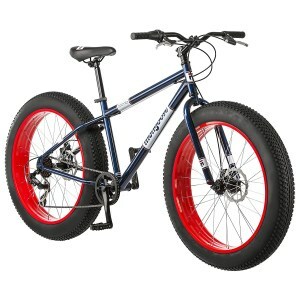 It features supersized all-terrain knobby tires, which automatically make it one of the most versatile products in this line. 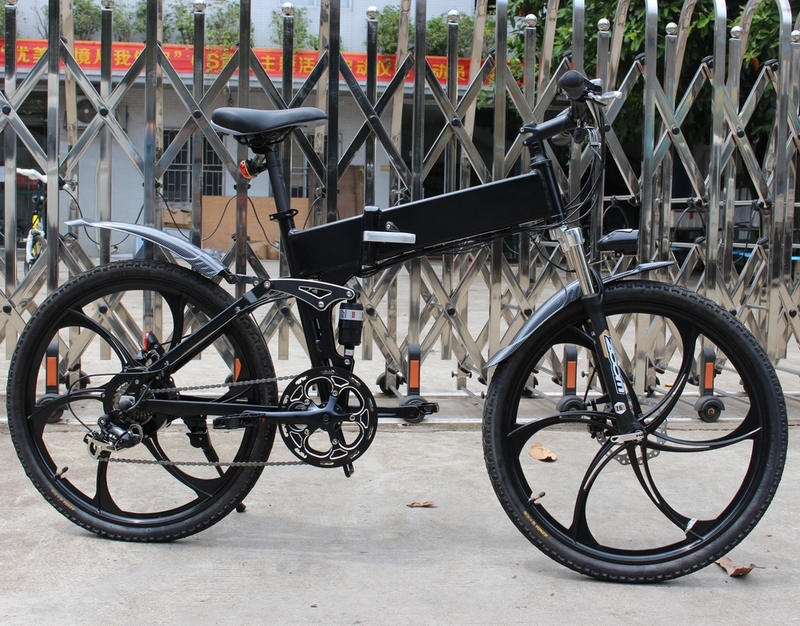 Because of the width of the tires, you will be able to use this bicycle in the city, in a park, or even on a path in a forest. The model comes equipped with everything you need to get started. 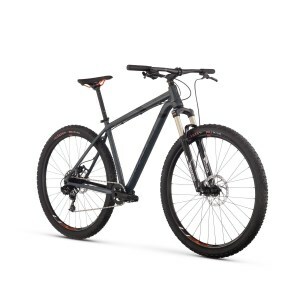 It features a 3-piece crank and a 7-speed gearing with a Shimano rear derailleur. Its lightweight and easy to use, particularly by those who’ve recently learned how to ride a bike. Folding bikes are by far one of the greatest inventions ever created by humanity, and that’s because they let users make the most of both worlds. They are an efficient means of transportation, but they are also steal-proof, at the same time. The bad thing about traditional bikes is that they have to be left outdoors. This gives criminals the opportunity to steal them. With folding bikes, you can usually take them indoors. This 20-inch choice is easy to use, versatile, and comfortable and seems to have been designed specifically with the needs of people who commute in mind. This road bike is another you should bear in mind if you like particularly big bicycles. Both the eye-catching design of this choice and quality of craftsmanship should convince you to give it a shot. 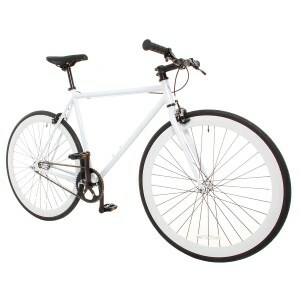 This fixed gear/single speed is well packaged and can be assembled with ease. All of the components get delivered in one piece, at least judging by the feedback that the unit has received in this sense. It might be a bit difficult to put together if you hardly know anything about bikes. At least that’s what one customer had to say about it. While some models are made specially to be ridden in the city, this one can be used under a myriad of circumstances. Its geometry is aggressive, to say the least, given that all of the structure and components of this bike seem to have been designed in such a way so as to be aerodynamic. The frame is made from an Enhanced Modulus Hybrid Carbon, a combination of carbon fibers uniquely created by Kestrel, the manufacturer. Given that most of those who have purchased and tried it out have nothing but good things to say about it, the Legend might also be worthy of your consideration. Available in sizes ranging from small to extra-large, the Tekoa is a mountain bike that can be used on other types of terrains, too. 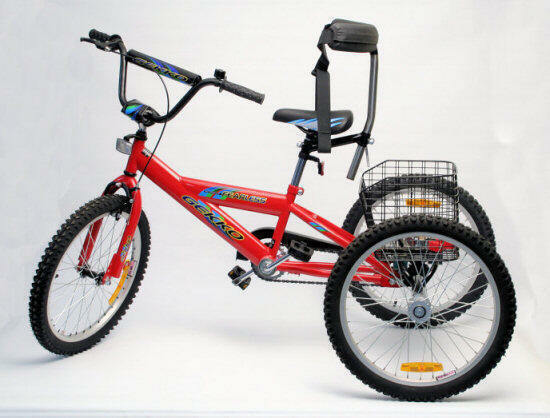 It’s been equipped with a lightweight frame that enables owners to carry it with ease. The rebound fork boasted by this product makes it possible for the users to avoid feeling every bump in the road. Since the bike comes partially assembled, it will take you from thirty to one hundred and twenty minutes to set it up by yourself. Of course, this time span depends on your knowledge of bikes. Finding a gift that’s truly unique these days can be a daunting task, and that’s because everyone seems to have the same tastes. Besides, there are those people who appear to have everything they need and want already, which makes the endeavor of discovering an awesome gift even more taxing. If you’re prospecting the market for the best bikes for adults either for yourself or a friend, the first thing you need to consider is the preferences of that particular person. Is he a man? Is she a woman? 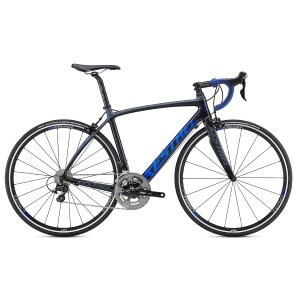 Do they fit the standard size, which is to say that you won’t have too much trouble selecting the right bike dimension? Or would you rather try to estimate their height a bit better before risking to order the wrong size? In the end, what size bikes for adults are best? The whole idea of a cool bicycle might defeat the purpose if you aren’t focused on usability. Of course, it’s great if the product looks fantastic as it will inevitably make an impression. But that’s not what it is primarily designed for. Unless you’re getting the bike for entertainment purposes and for the occasional ride around the block, you need to make sure that the bicycle is also convenient, easy to use, and practical. First things first, you need to know that there are several types of bikes out there and not all can be used for the same purpose. If you want to get one that can be utilized for commuting, it needs to be comfortable. If you want to get to work in time, you need a hybrid bike that can get to decent speeds, and that doesn’t hurt your bum. City path bikes and touring bikes are also becoming quite popular, and that’s not a bad thing considering that cycling is a healthy activity that can be used to fight a sedentary lifestyle. When selecting several cool bikes for adults available for sale nowadays, we’ve looked at usability, size, budget, and the main activities they can be used for. Have a look at our guide if you have the time. If you were only to spend money on the bicycle, it would be easier for you to make a budget and stick to it, regardless of the many eye-catching models you might stumble upon. 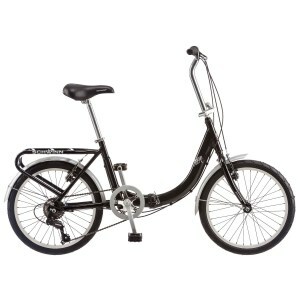 The fact of the matter is that, if this is the first bike you’re getting, you should be aware of loads of hidden costs. By this, we’re not referring to any fees that might be intentionally hidden by the manufacturer. In actuality, you need to make sure that while you’re riding your bike, there’s nothing that could go wrong. What this means is that you also have to invest in protective equipment which can include shin pads, elbow pads, and a variety of other extras. Finally, if you wish to make an impression, it is quite necessary for you to prospect the market for several cool bike helmets for adults. Some are chic, some are practical, and some are downright funny as they can even resemble the shape and looks of a bald human head. Others are less cool-looking per se, but they do their job exceptionally well, such as the unique Hovding airbag system that actively protects your head in the event of an impact. As for comfort and the way you can enhance it, you can buy loads of accessories. You can even get cushions for your rear, be they made out of gel or some other material that can keep your gluteal muscles in top shape all throughout the ride. Nothing beats a bike that goes well with your figure and physical attributes. Whether you’re smaller or bigger, the fact is that there isn’t a universal size of bicycle that you can use both efficiently and conveniently from one day to the next. In that case, you need to make sure that the saddle position, the handlebar height, and reach, as well as the seat height, are all in accordance with your body. The simplest way of choosing the best bike for adults learning to ride, for example, is to go to a store and actually pay a consultant so that he or she makes a personalized fit. If you decide to order your bike online, you might be in for a nasty surprise if you do not take the time to read some user reviews. Remember that other cyclists just like you can let you know a lot when it comes to the quality of the bike, the way it has been built, what it can be utilized for, as well as whether or not it offers the value you’re looking to get for every cent spent. Commuting doesn’t take just ten minutes unless you’re incredibly lucky and you live near the place of your employment. This is the reason you need to be absolutely certain that the bicycle you’re going to spend your pennies on will be comfortable. Once you’ve figured out the right size, it’s easy to take some time off on a Saturday or Sunday and go to several stores just to test some models. This practice will mean a lot to you in the long term because it will assist you in finding and upgrading your bikes so as to get one that perfectly fits your body and enables you to enjoy a smooth and comfortable ride every time. Take several bikes for test rides for as long as fifteen to twenty minutes. You can’t figure out whether the bicycle is comfortable or not just by using it for five minutes. You won’t even grow tired in that little time, and you won’t have the chance to assess the impact that the ride has on your rear.